Two words – yarn. bomb. Street art isn’t just what’s painted on a wall, it’s anything that plays with the urban landscape. And honestly, we love it even more when it’s responsible! 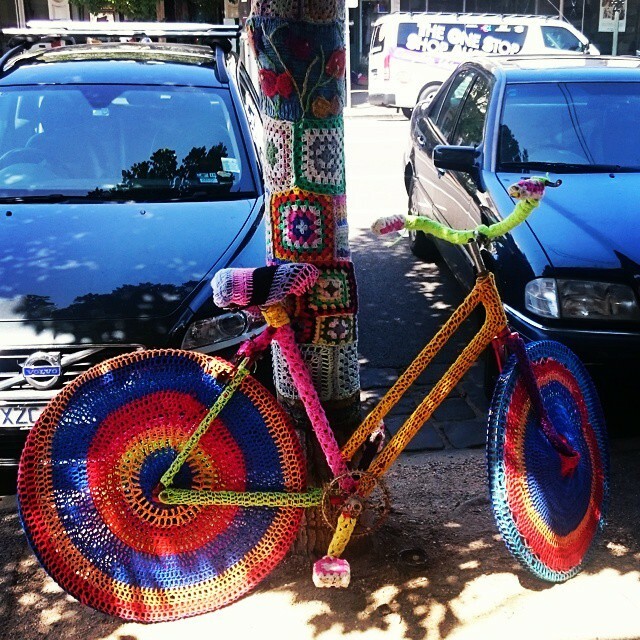 From moss graffiti to yarn bombing, we love these unique projects that make everyday life a little more fun! Melbourne is known for its incredible street art; we dare you to walk a block in Fitzroy without snapping a photo! So if you’re ‘gramming it anyway, might as well add on the #UAmission hashtag for a chance to win a free tour – this month’s Local Mission theme is Street Art!